The level of emissions coming from Ireland’s transport sector are undeniably high, which is of particular concern when considering the country’s commitment to a future with lower levels of greenhouse gases, ratified by the 2015 Paris Agreement. The long-term solution to this problem is to shift people from buying heavily-polluting petrol and diesel cars over to more sustainable fuels, with a particular focus being given to electricity. Minister for Transport, Tourism and Sport, Shane Ross, announced an ambition last year in the National Policy Framework for Alternative Fuels that by 2030 all new cars and vans sold in Ireland will be zero-emissions capable. In the same report, an ambition of having 800,000 electric passenger cars on Irish roads was declared, which is challenging considering that just 882 electric cars were sold in 2017, covering 0.7% of total sales, bringing the total stock of electric cars up to 3,580. 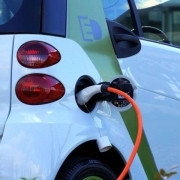 Researchers from University College Cork, the Danish Technical University, and the University of California, Davis have worked together to build a model capable of understanding why the uptake of electric vehicles in Ireland has been so low, despite a €5,000 grant from the Sustainable Energy Authority of Ireland alongside an exemption from Vehicle Registration Tax up to €5,000. The model found that the concept of range anxiety – the fear of not being able to get to your destination because your car runs out of charge – had a role to play in this slow uptake, but an even greater barrier identified was the lack of variety of electric vehicles currently available for sale in Ireland. “Car buyers in Ireland are all different, some may want a family car in a particular type of red, while others may want a dark blue car adept to city driving”, says Eamonn Mulholland, a researcher at MaREI, the Marine and Renewable Energy Centre in University College Cork’s Environmental Research Institute. “If you start looking for a particular type of car, you have hundreds of options of petrol and diesel cars to buy, so you’re likely to find what you’re looking for. If you restrict your search to electric cars, you are much more limited in your choice. If we’re to see more electric cars on the road, there needs to be more choice in the type of electric cars available”. This becomes problematic, as there are no Irish based car manufacturers, and the motor industry is entirely dependent on foreign manufacturers to produce a greater variety of electric vehicles before offering more choice to Irish buyers. The model built by Mulholland and his colleagues showed that achieving 800,000 electric cars on Irish roads by 2030 would be technically possible, only if there is a substantial increase in varieties of electric cars available in the coming decades complemented by a continued reduction in the cost of batteries. While achieving this ambition aids significantly to Ireland’s commitment in lowering emissions, it might also come at a cost to the exchequer. At the moment, Vehicle Registration Tax is based on the level of CO2 emissions that a car emits, so if you buy a low-emitting electric car, less revenue will be received by the exchequer. This adds up considerably if all new cars bought by 2030 are electric powered, equating to over €340m per year by 2030 when compared against a ‘no change’ scenario when you also consider lower amounts of income from annual motor tax, VAT, and, most significantly, losses from excise fuel duty. The cost is however justified by an expected reduction in CO2 emissions by 70% in the private car sector by 2050 when compared against 2015 levels. This work was supported by the Environmental Protection Agency, Innovationsfonden, Denmark, and Science Foundation Ireland (SFI) MaREI Centre, with additional funding through the Irish Fulbright Commission. 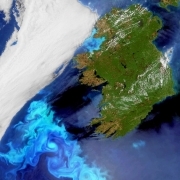 After two decades of European initiatives to promote “Responsible Research and Innovation” (RRI) in academia, R&D organisations and industrial research, this summer, MaREI, the Centre for Marine and Renewable Energy at University College Cork and ICORSA (International Consortium of Researcher Staff Associations) have won two Horizon 2020 projects, collectively worth €4.5 million to research, develop and implement RRI. The first project RRING, which stands for ‘Responsible Research and Innovation Networking Globally’ will see MaREI together with ICORSA, UNESCO and 20 other international partners tasked with developing a set of internationally approved guidelines, that promote RRI in all spheres globally. RRING will aim to ensure that research worldwide adheres to a set of principles that ensures all future research is conducted in a sustainable and ethical way, good for society, and good for communities of people globally. The project will develop policy guidelines and standards to ensure research and innovation standards align with, for example, the United Nations’ Sustainable Development Goals (SDGs), as well as ethically agreed standards worldwide. The EU has five priority areas (better known as ‘pillars’ or ‘keys’) they wish to promote in relation to RRI principles. These are: gender, science education, public inclusive engagement, ethics, open access with governance as the overarching key. The objective of RRING is to compare RRI practices in other regional locations worldwide with the 5 European RRI keys, with the aim of informing the European Commission of best practice. Finally, RRING intends, as a tangible output, to create a global RRI network, which will be the sustainable vehicle for continued advancement of adopting RRI principles within all areas of endeavour. ICoRSA will lead the development of this global initiative, ensuring that researchers at all times have a voice in the development of this important initiative and network. 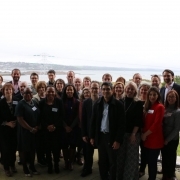 The second project GRRIP (Grounding RRI practices in research performing organisations) will focuses on creating RRI action plans for 5 marine and maritime research institutions. 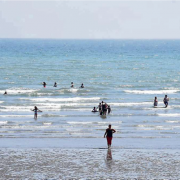 MaREI will be one of the recipient institutions of such a plan (the first in Ireland), as well as 4 other European marine and maritime institutions. The MaREI case study will be a template for other institutions in Ireland to adopt and will pay particular attention to public engagement in all stages of governance (from RRI strategy creation to implementation and evaluation). It is anticipated that inclusive engagement will increase innovation in terms of co-creation and social innovation. This is an ambitious project, but one that UCC’s MaREI is proud to develop and lead. After a successful 1st course by CRIACIV, named “Experimental modelling of wind actions and structural response”, the international project continues to roll out its marine sector training program. The Technical University of Denmark is now about to host its course on “Remote sensing of offshore wind conditions”, in Denmark, 1-3 of November. The 3rd MaRINET2 course will be hosted by the Maritime Research Institute (Marin) and Environmental Hydraulics Institute University of Cantabria (UC-IHC). Entitled “Hydrodynamics of fixed and floating Offshore Wind Turbine foundations”, the course will take its place November 20th to 22nd in Wageningen, The Netherlands, and is now open to registrations. The short, two to five days long, courses are targeted for industry and academic researchers in the offshore renewable energy sector. Courses are organized and lectured by MaRINET2 project partners and will focus on three areas: wave, wind, and tidal energy. The courses are free, and travel & subsistence support is available to MSc, PhD students, and early-stage researchers. Information on the program, location, and duration of the courses are available on the MaRINET2 website, which will be updated whenever there are new details. 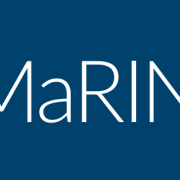 MaRINET2 is a €10.5m project funded by the European Commission’s Horizon 2020 program and coordinated by the MaREI (Marine and Renewable Energy Ireland) Centre in University College Cork. The project has been set up to accelerate the development of offshore renewable energy technologies by providing free-of-charge access to a network of 57 research facilities across Europe. A free one and a half day workshop on the exciting new era of maritime and space innovation. Would you pack just one set of clothes for a two-week holiday? Of course not. 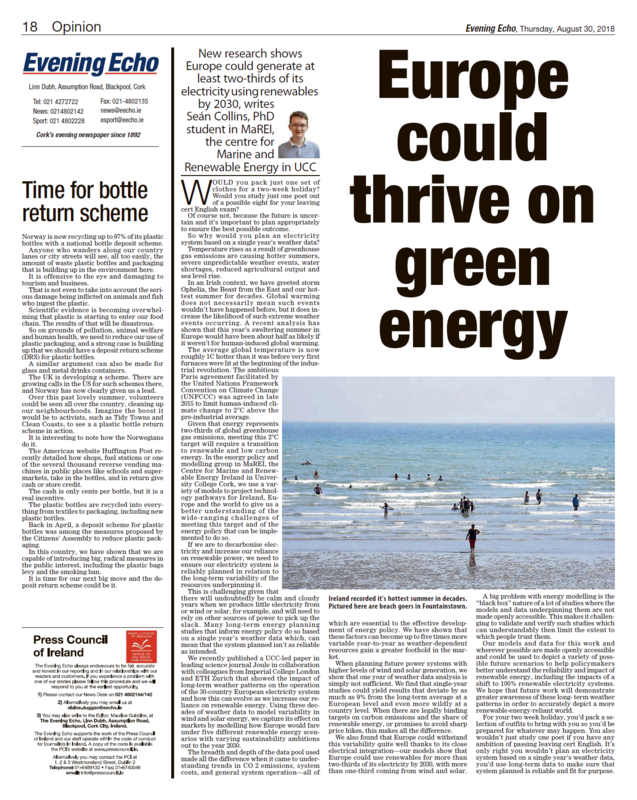 A great Opinion Piece from MaREI researcher Seán Collins on how Europe could thrive on green energy. “Would you pack just one set of clothes for a two-week holiday? Of course not, because the future is uncertain and it’s important to plan appropriately to ensure the best possible outcome. https://www.marei.ie/wp-content/uploads/2018/09/beach.png 441 692 Dee O'Connor https://www.marei.ie/wp-content/uploads/2016/07/MaREI-Centre-logo-mono-white.png Dee O'Connor2018-09-04 10:09:292018-09-14 14:15:09Would you pack just one set of clothes for a two-week holiday? Of course not.